10 Comfiest Mattresses To Buy for under $500 — Enjoy a Peaceful Night’s Sleep! Considering the fact that we spend around one-third of our entire lives sleeping, it is fair to conclude that buying a new mattress is one of the biggest investments anyone can make. Apart from providing an ideal platform to sleep on, a modern mattress also provides several health benefits to its users. But, while a bed is absolutely a massive investment for your health and general wellbeing, you don’t necessarily have to break a bank to buy one. By purchasing the best mattress under $500, you are literally purchasing several years of peaceful night sleep. When it comes to mattresses under 500, there is a ridiculous amount of options on the market. Since buyers have a wide range of models to choose from, this might initially seem like a great thing. On second thought, however, the abundance of options might be a problem as buyers end up getting confused more often than not. We are set out to prevent this, and that’s why we have combed every corner of the web to assemble the best mattresses under 500. Our picks weren’t just randomly chosen, but on several criteria such as profile thickness, the number of layers, materials used, firmness, and warranty. In this guide, we will be covering everything you need to know before making a purchase. 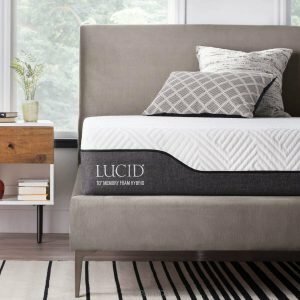 Of course, this article is a result of an incredible amount of research that spanned tens of hours, so you should rest assured that it contains everything necessary about the best mattresses under 500 dollars. From our insightful comparison table to the comprehensive products reviews to the handy buying guide, this article is packed with everything to aid you in your purchase. The Zinus Memory Foam Premium Cloud-like mattress is probably the best option on this list. 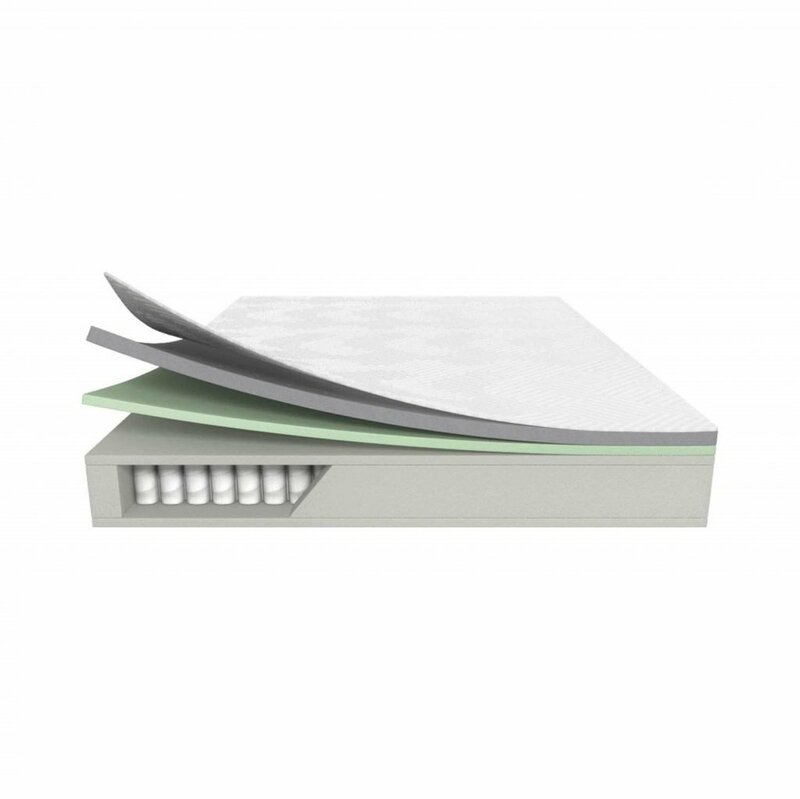 Offering five layers of foam and fabric, this mattress is specifically manufactured for your optimum comfort. 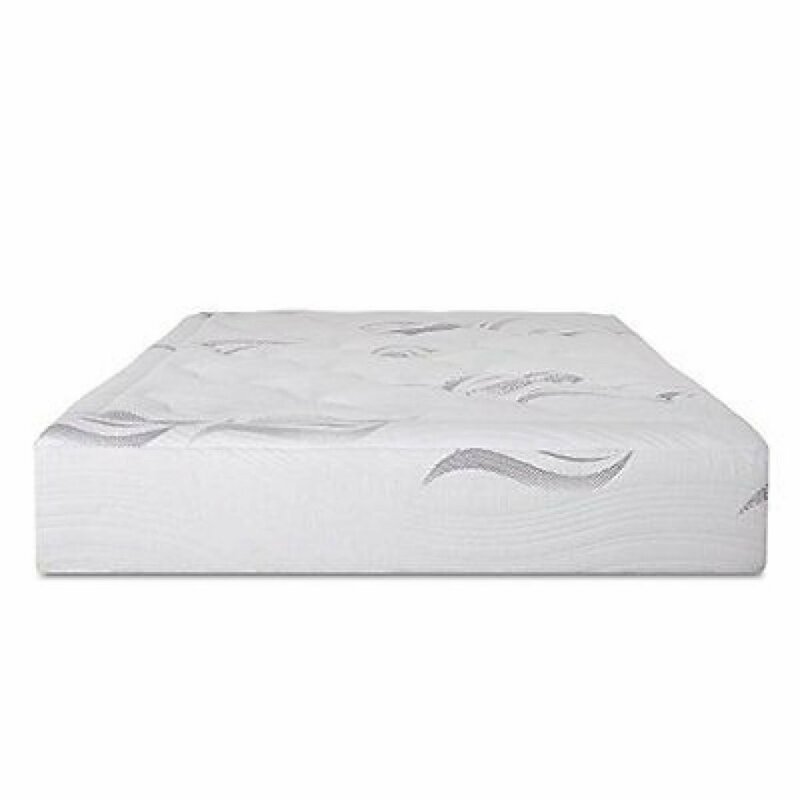 With a 12-inch density, this is a very thick mattress for those looking for superior comfort and support. It features a plush, sewed cover that has a similar look to the external layers of innerspring beds. Besides the lovely quilting, however, the cover provides an additional layer of comfort. 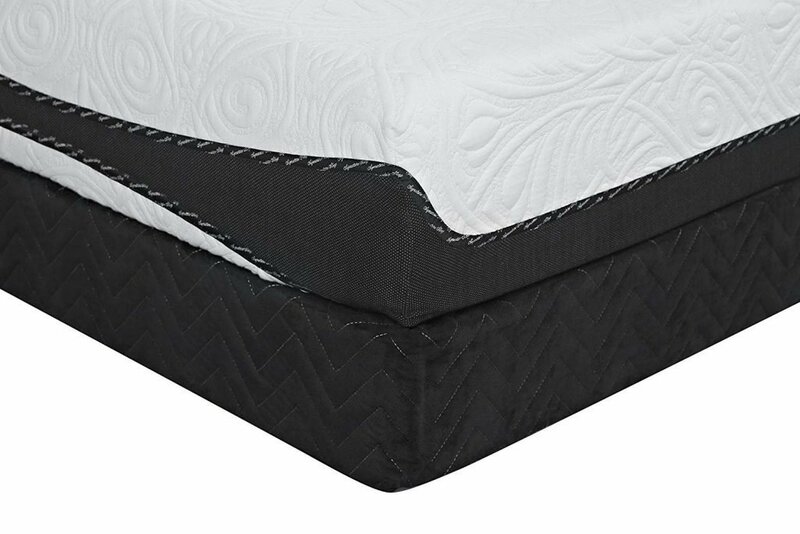 Overall, the bed has a two-inch foam quilted and microfiber cover, a two-inch layer of memory foam, a three-inch comfort foam, and a five-inch base support foam with an elaborate composition. The foam is infused with charcoal, green tea, and plant-based oils intended to get rid of odors. The cover easily comes off and is sufficiently durable to frequently machine wash. Also, the product is CertiPUR-US certified, which show how safe, clean, and allergen-free it is. To give you more confidence in your purchase, the mattress comes with a ten-year limited warranty. Users, however, complain that the removable quilted cover can’t be put back properly once it has been removed. 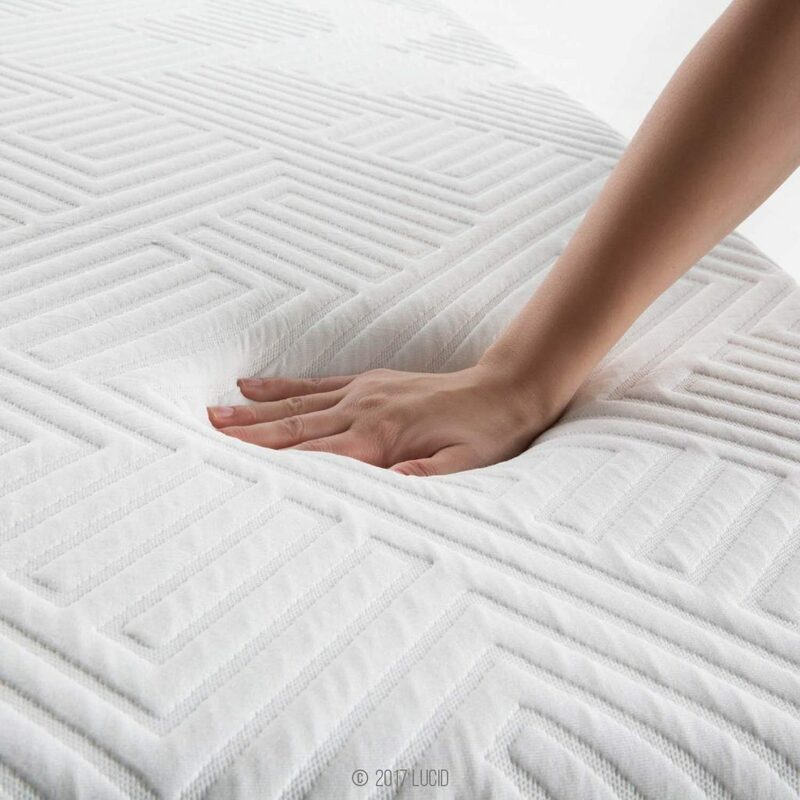 Featuring a three-inch gel memory foam that is stimulated by Sleep Cool Tech Foam, it doesn’t take supernatural powers to realize how incredible this mattress is. It features a two-inch best in class cool airflow foam with a five-inch high-density foam for an optimum support base. The comfy white covering features a fire barrier, zipper cover, and brown suede corners. In addition, it is CertiPUR-US certified, which states that it’s made with high-quality and safe products. The product is made from materials of premium quality and has a four-layer construction which guarantees you that there is no going wrong with this particular model. 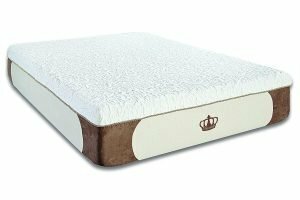 Furthermore, this excellent model from DynastyMattress conforms to the shape of your body to help alleviate back and neck pains. It also has excellent airflow, thereby allowing you to sleep cool throughout the night. While it seems excessively firm for some people, it is expected to get soft over time. When it comes to comfort, the mattress performs incredibly well. The comfort on offer is apparent to see from its three-inch gel memory foam, double two-inch cool airflow foam, and five-inch high-density foam for great base support. With two free gel pillows included in the package of this product, sleeping is more comfortable than it has ever been. However, you should get yourself ready to endure some bad odor which goes away after a few days. 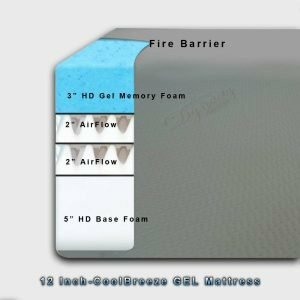 You can’t talk about luxury mattresses without mentioning a thing about a cooling gel with breathable foam. 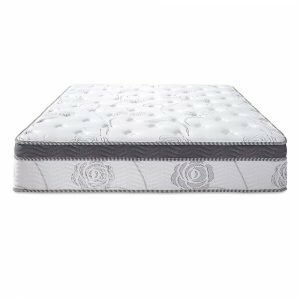 The Arctic Dreams 10″ Hybrid Cooling Gel Mattress embodies everything called luxury. 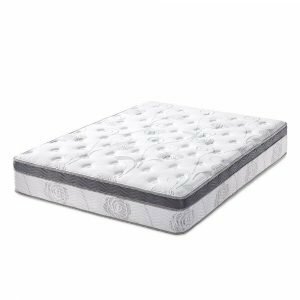 Featuring open visco-elastic foam that is in charge of pressure relief, this mattress totally aims to give you optimum comfort while you sleep. The Energex gel foam is a substitute for latex material, which means it will address every sleeping issue you have, including back and neck pains, sweating, motion disturbance, and stiffness. 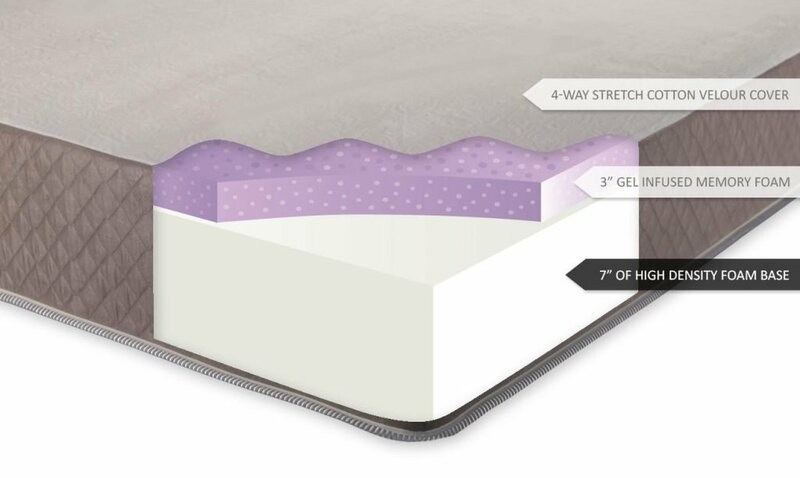 With a ten-inch density, this mattress is made with three foam layers. 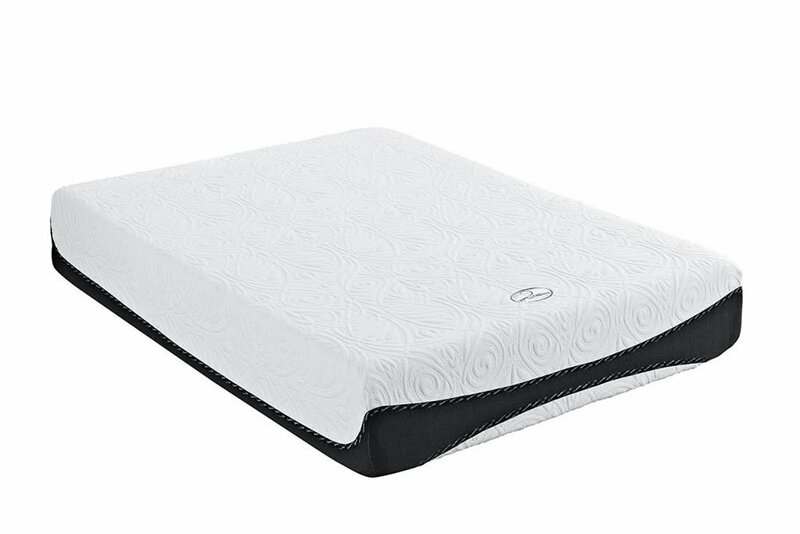 There is a 2.5-inch Energex gel memory foam, a 0.75-inch soft quilting layer, and a 7.5-inch high-density polyurethane memory. The primary advantage of these three layers is that they have temperature regulation and cooling abilities. And unlike some mattresses that take about 72 hours to expand fully, this one needs only a maximum of about 24 hours for that. It’s sturdy, practical, easy to move and set up and does not consume much space. It’s perfect for people who are in search of a medium-feel foam mattress and intending to buy from a trustworthy brand. The Energex layer increases the softness whilst the comfort layer is adequately dense to act as a support for the spine and sufficiently soft to ease body pains. Although, the foam is capable of retaining heat, which is one of its few drawbacks. 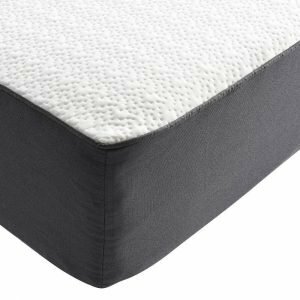 With its high-quality construction, great support, and supreme comfort, the Classic Brands Cool Gel Memory Foam Mattress embodies everything the company represents. 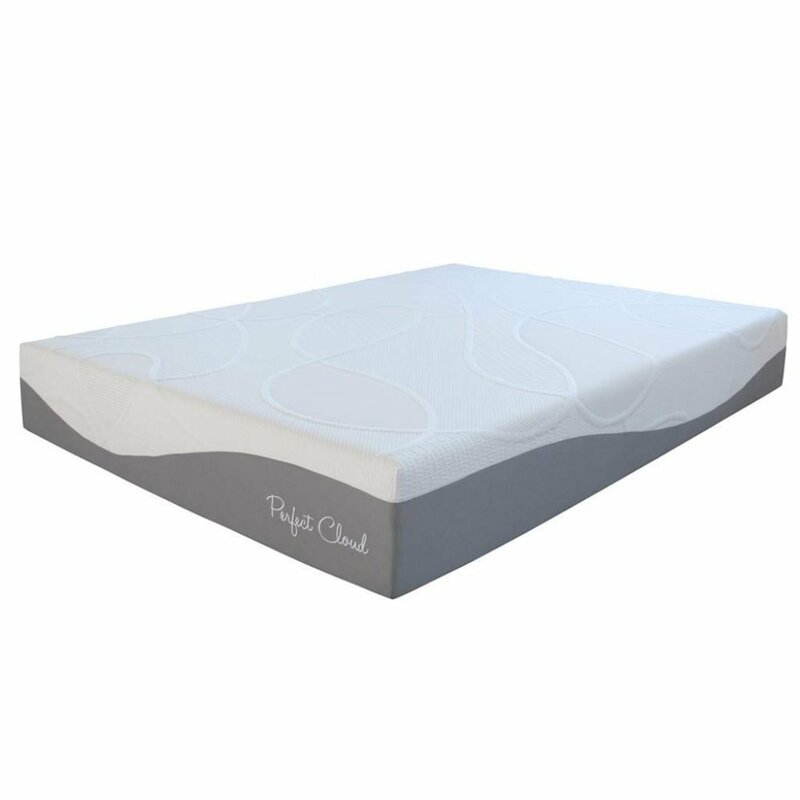 With a gel memory foam, the product will guarantee your comfort throughout. Its foam serves as support to every part of the body since it automatically and slowly adapts to the weight of the body. The mattress allows your spine to stay in a natural position so as to remove any pressure that may cause pain and discomfort. 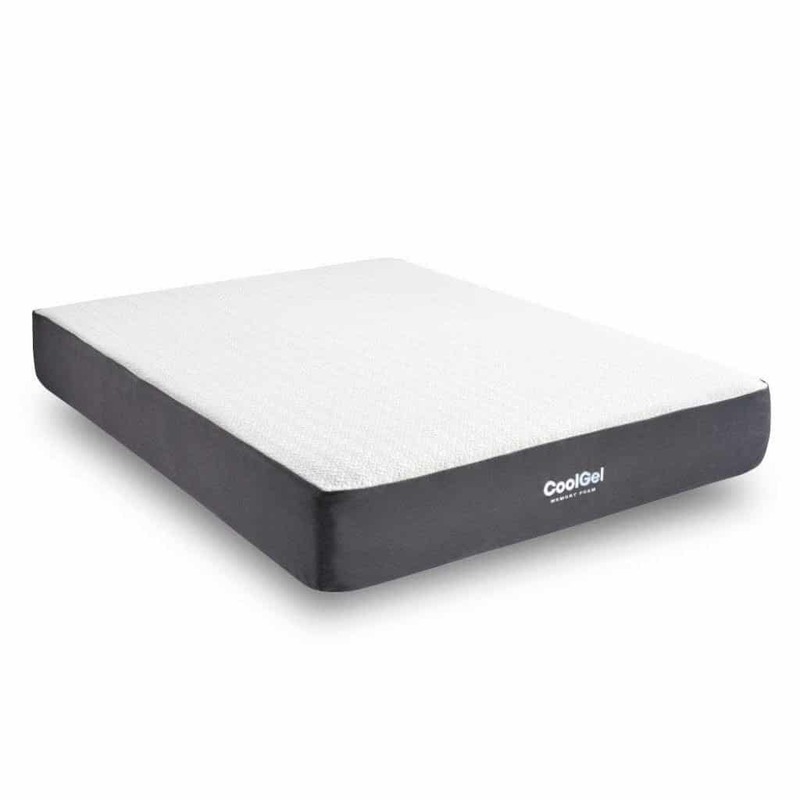 Furthermore, the mattress keeps up a cool sleeping area, thanks to the included breathable two-inch cool gel memory foam that disperses body heat. It also has two one-inch layers of poly gel foam that offers adequate support. In addition, it includes a 6.5-inch supportive base layer to maintain the strength and effectiveness of the top three layers. 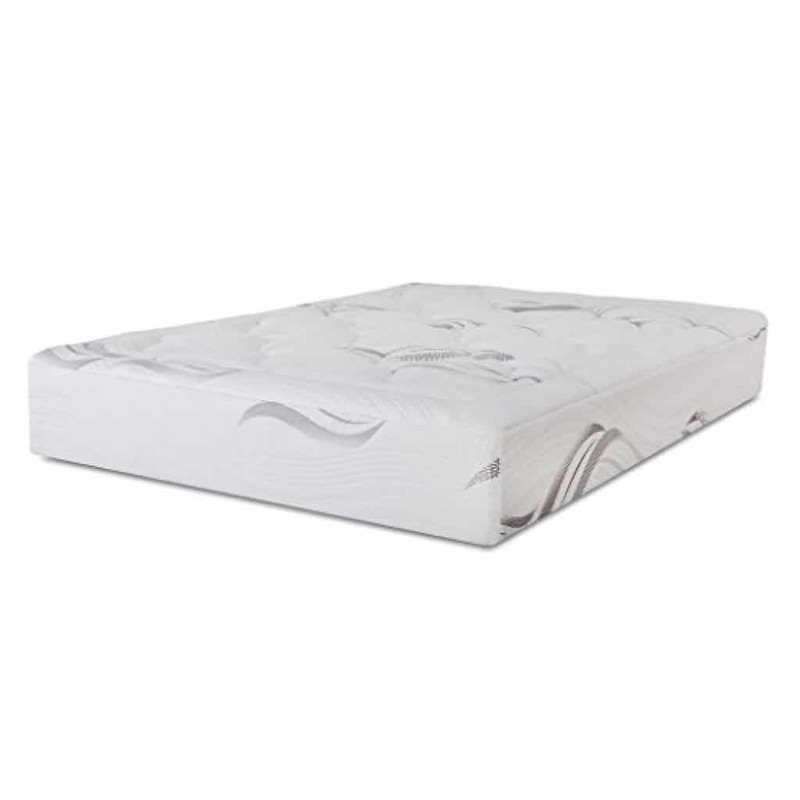 Therefore, you can rest assured that this mattress will retain its support abilities and shape for a very long time. To improve breathability, it has a stunningly detailed knit cover. Its four-way stretch knit sides adjust to the body to make sure that you stay comfortable all the time. 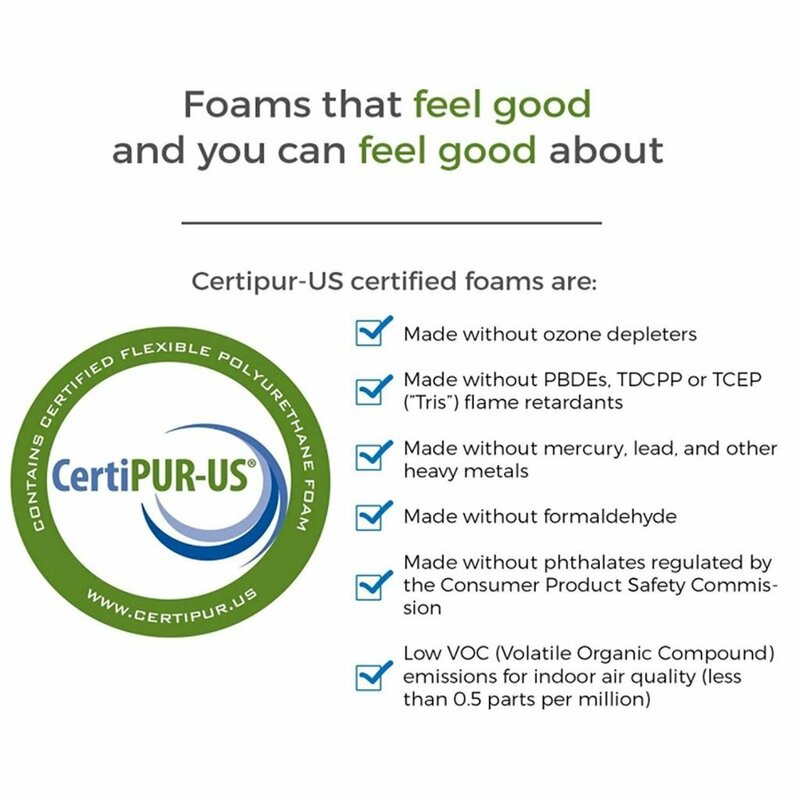 The mattress also has the CertiPUR-US certification with which you can rest assured that no harmful materials were used in its production. 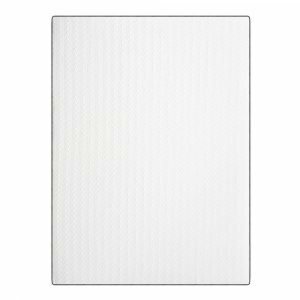 The gel memory foam is also naturally resistant to bacteria, mold, allergens, and dust mites. But, while the company claims the mattress doesn’t sink in, some users claim otherwise. It even takes time to return to shape after it sinks in, which is not really great especially if you or your spouse is overweight. 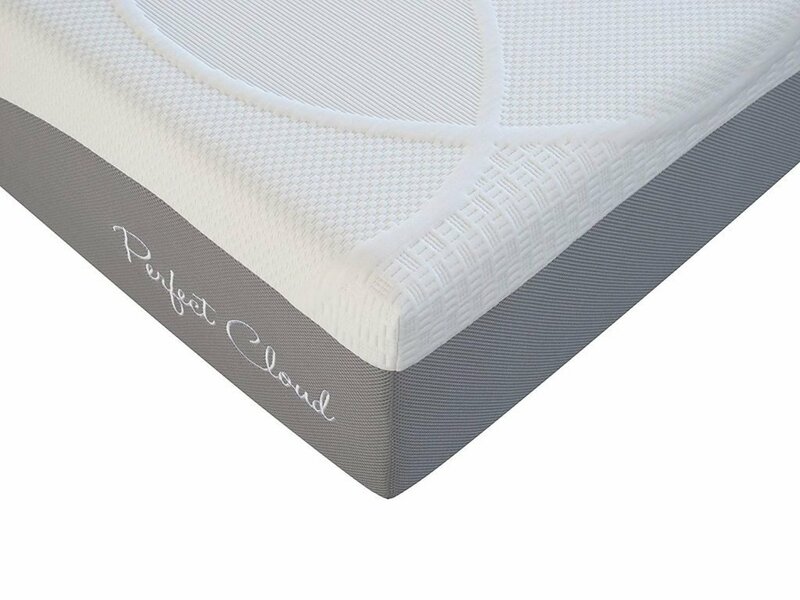 Perfect Cloud is not a name you hear all the time, but this particular mattress should be what you sleep on at all times. It is ideal for all kinds of sleepers, offering superior comfort and body support, just like the hotel bed. It features a 1.5-inch layer of air-infused memory foam to provide you with cooling plush. Also, the two-inch gel max foam in the second layer helps regulate the ideal temperature and ensures the appropriate body support as well. In addition, the mattress has a 6.5-inch super base foam to introduce you to weightless sleeping experience. It offers you the required support whilst conforming to your body shape to reduce turning and tossing alongside pressure points. Regardless of whether you’re a side, a stomach, or a back sleeper, this product is an excellent all-round mattress. It is also capable of accommodating individuals who’re on the heavier side as well as those who are lightweights. The bed boasts a stretch knit cover which is removable and entirely breathable. 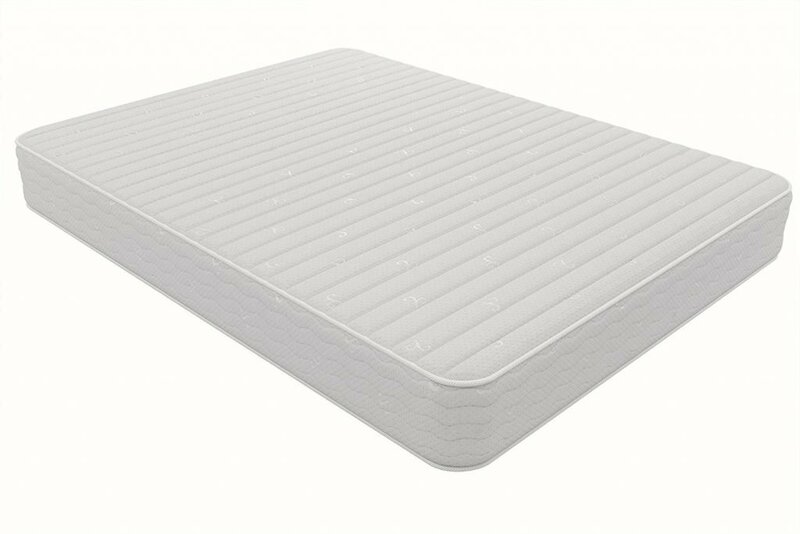 Keep in mind that this mattress is not recommended to be used with a spring box, which is quite disappointing to a lot of people. 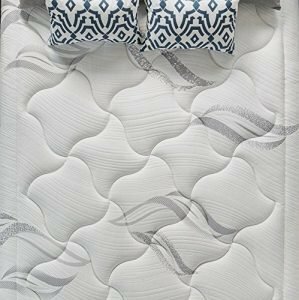 It is obvious that the Signature Sleep Coil Mattress is presumably one of the most comfortable innerspring mattresses out there. 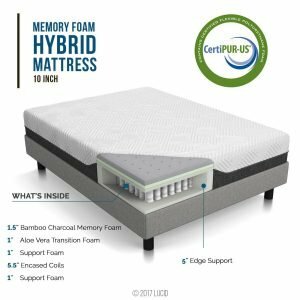 An eight-inch mattress that is produced using foam with CertiPUR-US certification, you can be assured that the Signature Sleep Coil Mattress is one that you will definitely want to own. It is durable, comfy, safe, and is a result of the maker’s continuous advancement and commitment to premium quality. Besides the fact that the bed is safe, eco-friendly, extremely long-lasting, and comfortable, this product offers a lot more than only a great night’s sleep. Featuring independently encased coil springs, this mattress surely offers optimum support. In addition, this feature helps eliminate motion transfer, which is great particularly if you have a partner. Furthermore, the Signature Coil Mattress boasts a breathable, quilted cover. The seven-inch 15-gauge coils of the bed work excellently in contouring to the shape of your body, therefore relieving pressure points. There is a foam layer on the bed’s top bottom for extra comfort and protection. Except for the slight smell you’ll discover upon unpacking, there aren’t many negatives with this model. It also requires a foundation, which doesn’t sit well with most users. 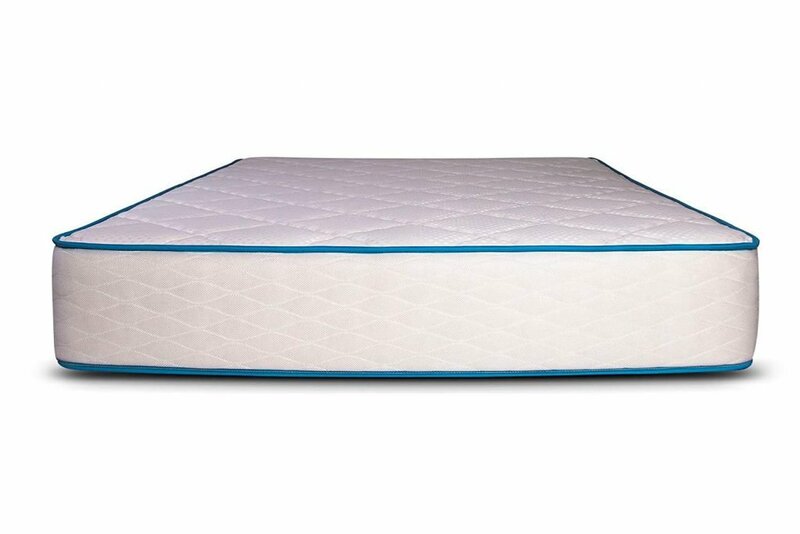 Featuring five layers produced using a combination of coils, high-density foam, gel foam, soft foam, non-woven fabric, and fiber padding, this Olee Sleep Hybrid Mattress is simply magnificent. The spring layers extend support to the top of the mattress where there is uniformly distributed bouncing effect. Each coil is encased separately to add comfort and reduce motion transfer. It also includes a one-inch environmental-friendly gel cool layer to regulate temperature while you sleep. Steady contact between your body’s pressure points with the gel memory foam and soft foam has numerous advantages. It can help get rid of pain and stress from your joints, muscles, and even the bones and ligaments. Also, it extracts fatigue and stress from your spinal cord and lower back. 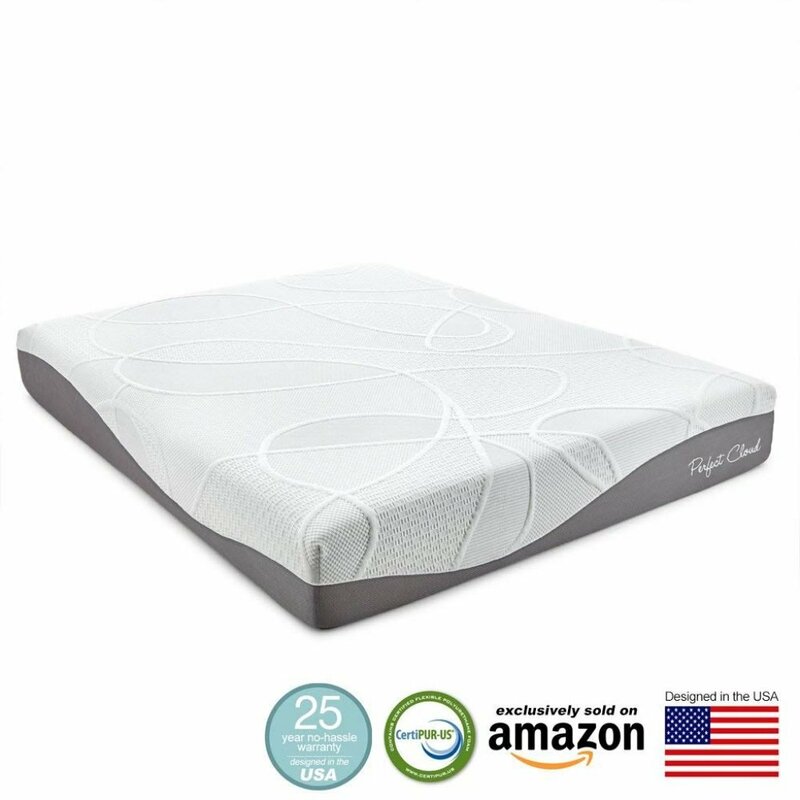 The soft memory foam conforms to the shape of your body shape to ease pressure points while the gel-infused memory foam regulates temperature. 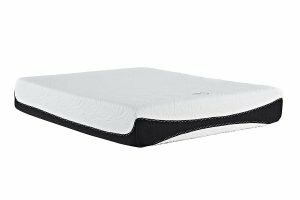 The two-inch high-density foam immerses the weight of your body and disperses it uniformly to ease pressure on the back and neck. Also, it offers contoured vertebrae support. 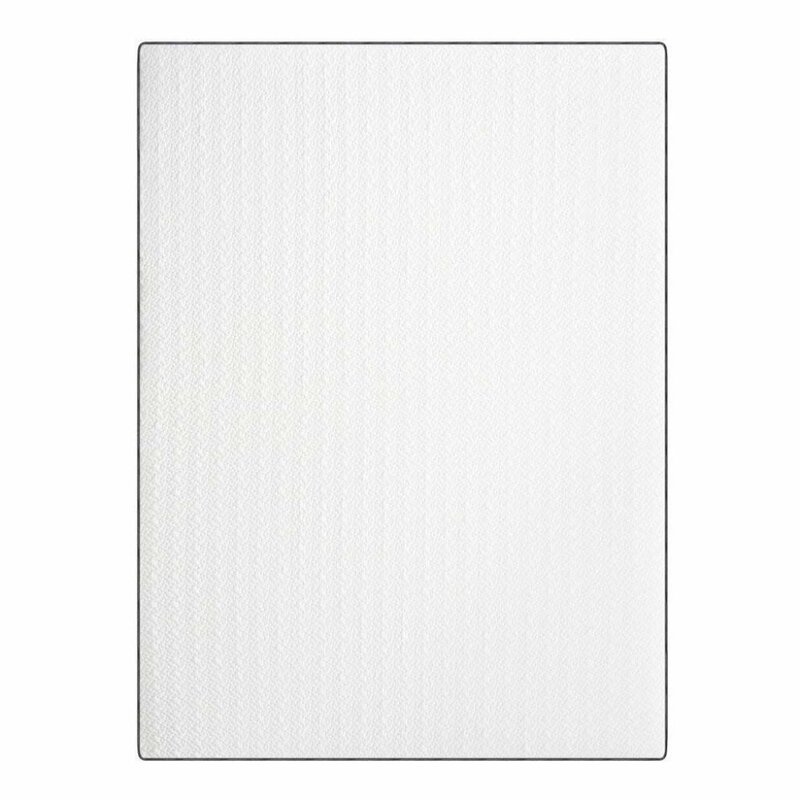 This high-quality mattress incorporates a two-inch poly jacquard fabric to enhance ventilation and normalize body temperature. In general, there are not many things to dislike about this mattress, except the horrible smell it emits for the first few days. 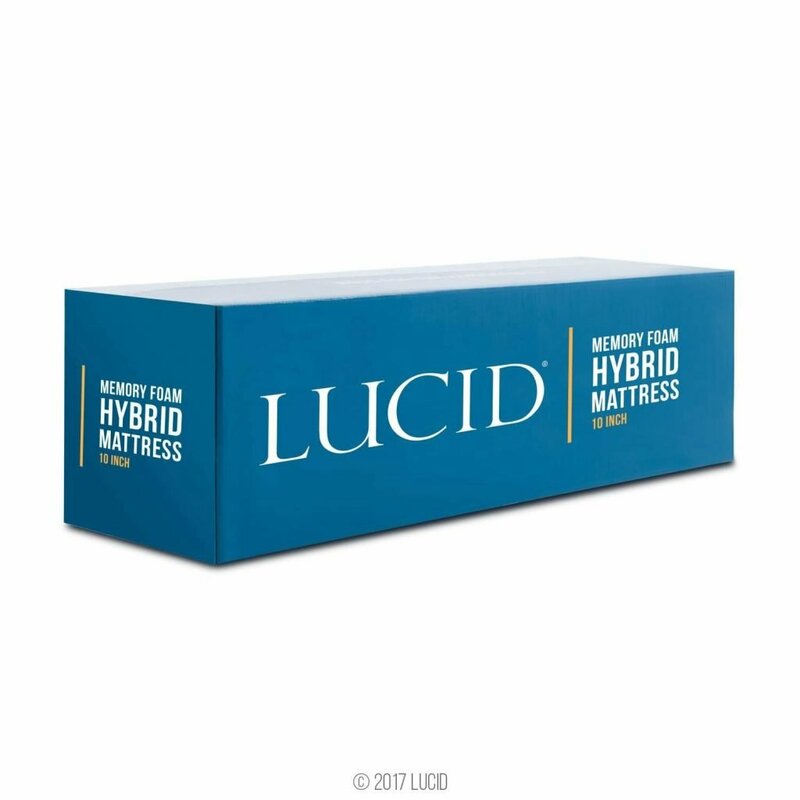 Merely looking at the LUCID 10 Inch Queen Hybrid Mattress, you’ll realize how great it is. It has a construction that speaks volume about its quality. Featuring a 2.5-inch gel-infused and ventilated memory foam, this mattress guarantees a cool breeze. 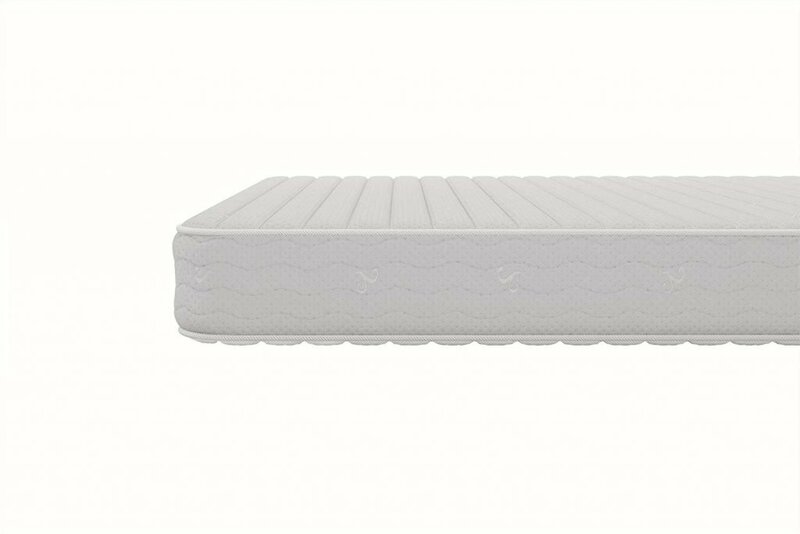 Additionally, it has a 7.5 high-density support base which ensures you great support and stops your foam from sinking. 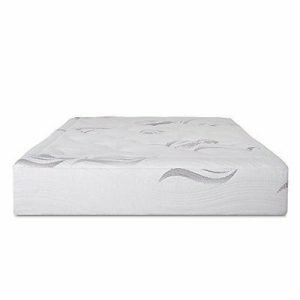 What’s more, this high-density foam has an incredible medium-firm feel which majority of sleepers find perfect. The mattress has been structured so that it will be pleasantly compressed under the sleeper’s weight whilst shaping around the curves of the body thereby reducing basic pressure points. It would be totally unfair to forget to mention the incredible cover, which enhances comfort, breathability, and prevents moisture from your environment. Also, the mattress is exceedingly easy to set up. it comes packed conveniently, and all you’re required to do is to take it inside, unpack and joyfully watch as it independently expands. 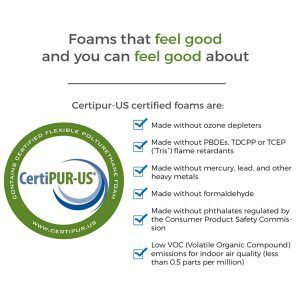 This mattress was made with safety in mind which explains why it is Certi-PUR certified. It has a safe build that guarantees you a sleep environment free of ozone depletes, mercury, VOCs phthalates, and formaldehyde. Except for the noise it makes when you move on it, this mattress comes with only a few drawbacks. Some users also complained about the foam sinking after a while, but it’s nothing too bad. Sleep is one of the most important things in life and nobody understands this better than Live and Sleep, which explains why the company is committed to manufacturing high-quality mattresses. 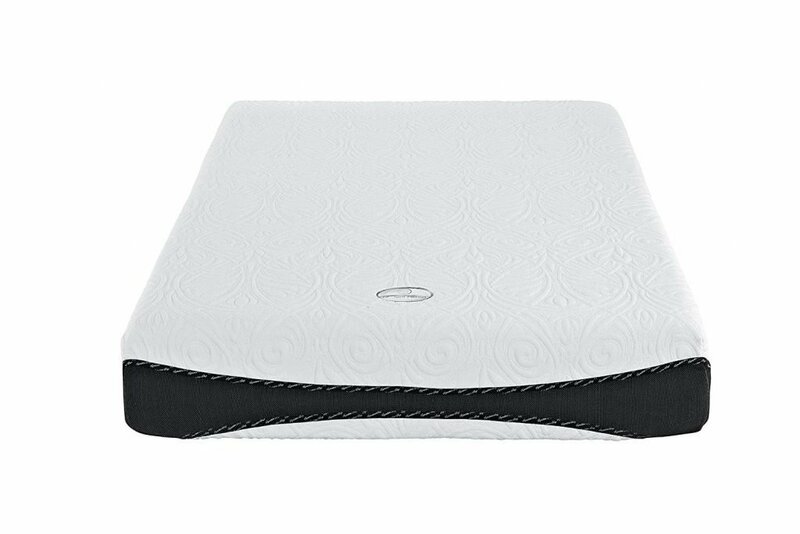 This ten-inch mattress from the company offers the incredible support of HD foam and awesome pressure-relieving advantages of memory foam. The mattress treats you to a high-density 2.5-inch layer of highly breathable HD air-infused memory foam over 0.5 inches of high-quality Cool Gel-Infused Memory foam. 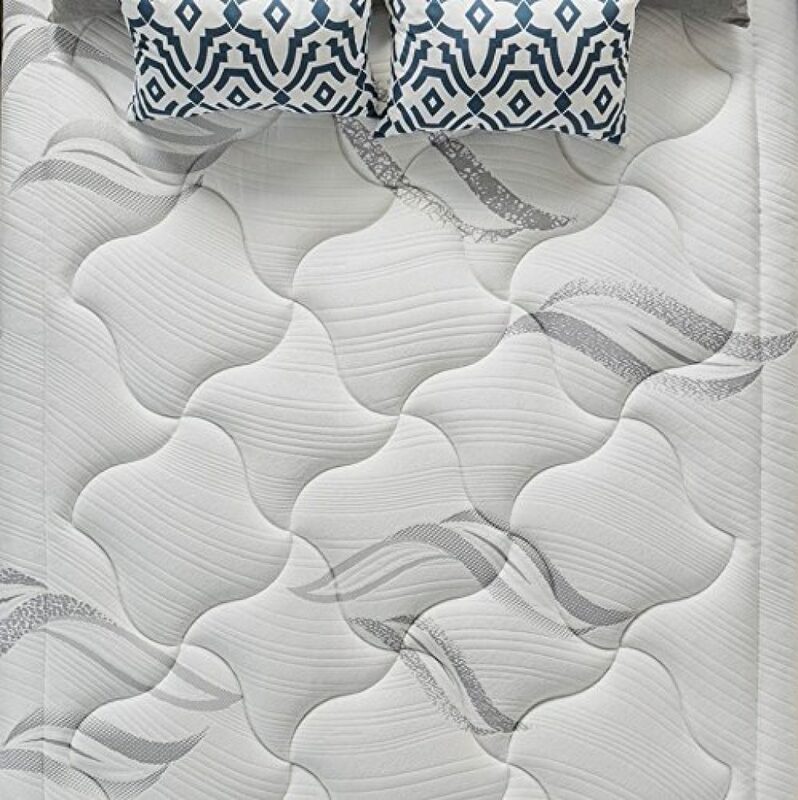 Just like an excellent hotel mattress, almost every sleeper will like this mattress as it offers you a premium sleeping experience. 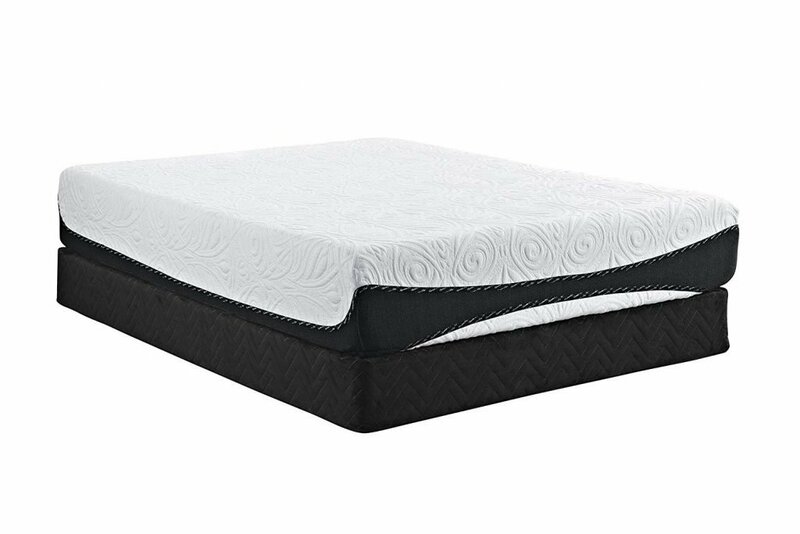 The solid support core of the mattress offers awesome conventional bounce and back support. It has a stylish flex knit cover which is silky and soft and conforms with all your moves. Additionally, the engineered plush knit fabric aids airflow for a more comfortable and cooler sleep. Apart from being very comfortable to sleep on, this mattress is also incredibly easy to set up. It’s shipped in a special pack which allows for easy transport and mobility. 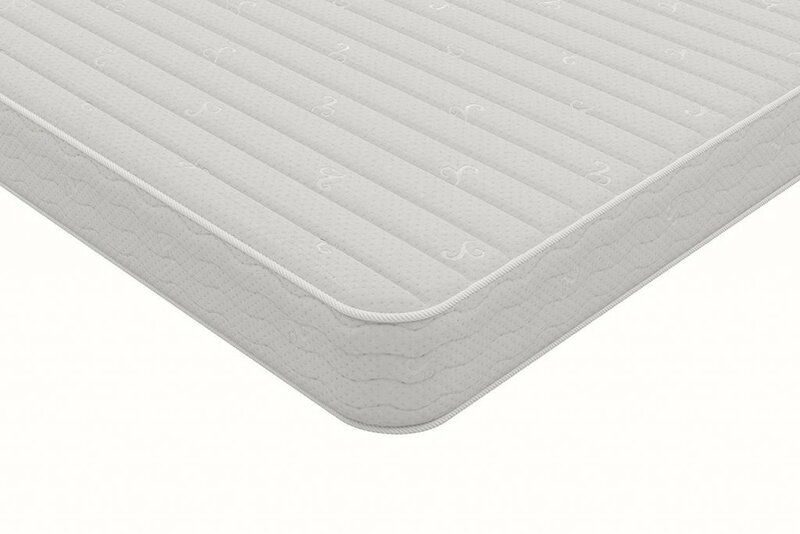 Besides, the mattress is OEKO-TEX and CertiPUR-US certified, which guarantees that it’s made with non-toxic materials. It also comes with an extra memory foam pillow, which is quite generous. However, this mattress seems to sag a lot, which can result in waking up with neck and back pain if you tend to experience such problems from time to time. 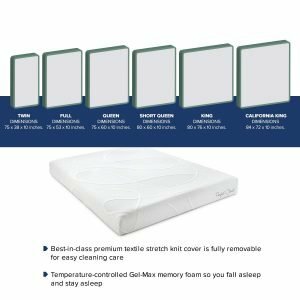 Engineered with the various needs of different sleepers in mind, the Signature Sleep Cool Gel Mattress is a great option for under 500 dollars. 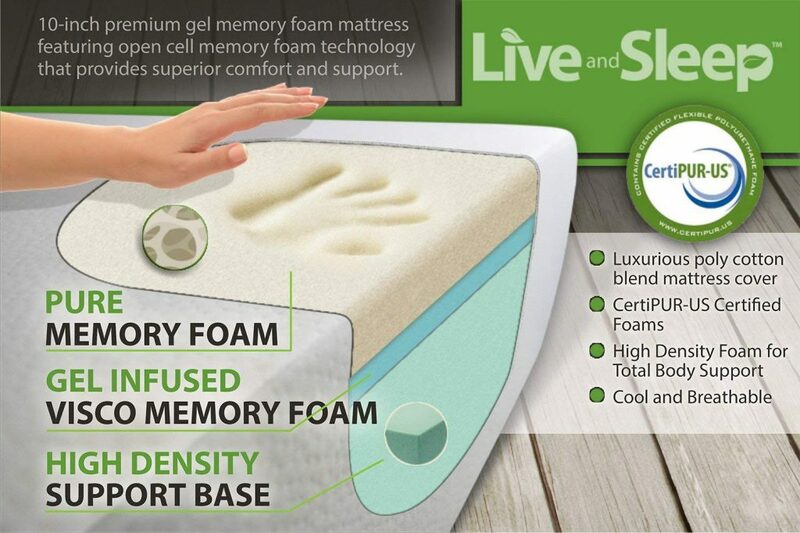 This product perfectly blends the advantages of memory foam with the benefits of gel-infusion. Also, the bed helps easy pressure relief owing to the memory foam. It is also CertiPUR-US certified, which speaks volume about its quality. 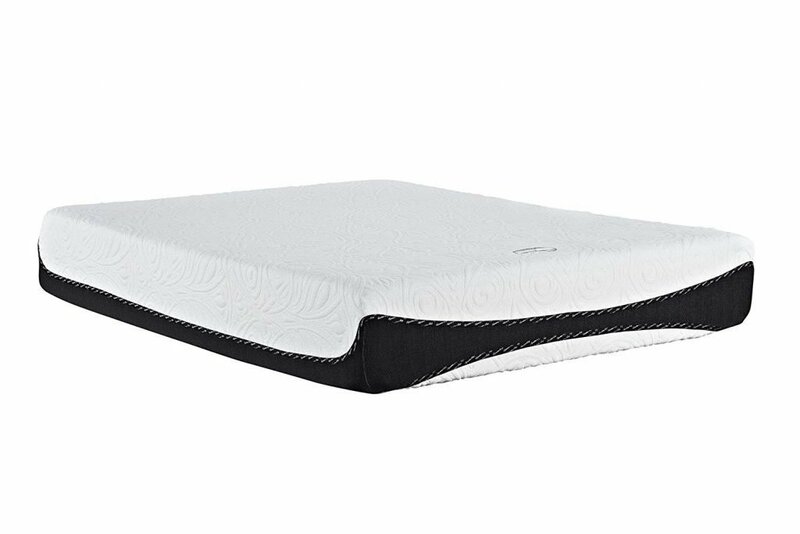 The gel memory foam offers unique support for the sleeper’s back, shoulders, neck, hips, and head. The foam conforms to the body shape to provide a high comfort level. Further, under the two-inch gel-infused memory foam, there is a 1.5-inch responsive memory foam support layer that removes transfer motion. And the two layers are supported further by an 8.5-inch high-density foam layer, which provides the additional comfort. The package is reasonably compact and portable: the mattress comes fully compressed, rolled and is shipped in a box. You only need to unbox it, remove the plastic packaging and watch it expand. It’s fully ready within two days, which may be an issue if you intend to use it right away. Generally, this is an excellent option for any sort of sleeper. The only con buyers have with it is that it is not available in different sizes. Now that you have read the products reviews, take a look at our handy buying guide. Everything you’ll need during your shopping is discussed here. How to maintain your new mattress? Maintaining your mattress after some time will help ensure it continues to serve you optimally for several years to come. Below are some useful maintenance tips that you can easily follow. A new mattress requires the support of an appropriate foundation to repel sagging after some time. The available options you can select from include an adjustable foundation, a bed frame with an appropriate number of slats or a matching box spring. Stains and spills can affect the reliability of the foams and fabric of the mattress. Also, a lot of spills can make the foams collapse and cause discomfort. 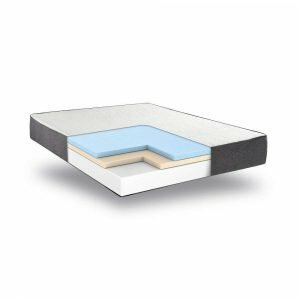 Such liquid resistant protectors will help preserve your new bed and keep it healthy. Find one produced using breathable materials. Regularly cleaning a mattress is capable of helping to reduce allergen and dust accumulation. 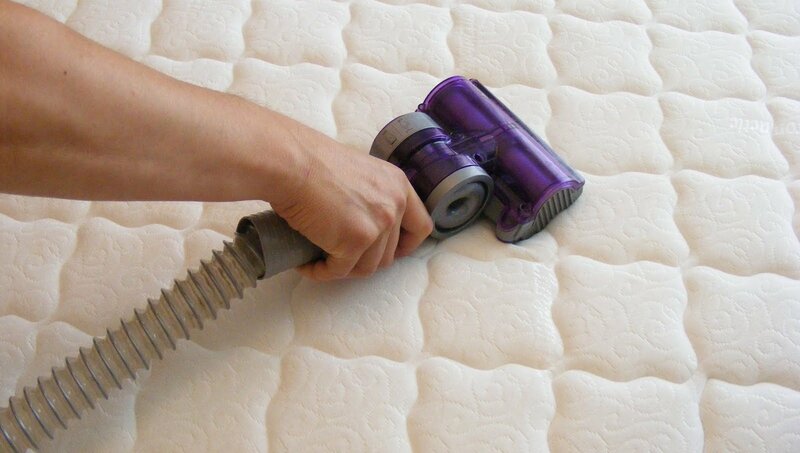 An easy way of cleaning your new bed is by regularly vacuuming it with a handheld attachment. Be cautious when thinking about washing the mattress in case of accidental stains or spills. Saturating the fibers and foams with water and liquid cleaners can probably lead to the damage of the foam. When required, you can easily spot-clean stains by the aid of a mild detergent and warm water. Afterward, allow the surface to completely dry before you put back your sheets. While rotating is not necessary, it can help in evening out regular wear and tear over time. You can be rotating it on a monthly basis, or even less based on how you prefer it. If your mattress is required to be moved to another room, or another house, measure the entrances to make sure that it can easily fit without being bent. Bending it can damage it and void its warranty. Hire professionals, if possible, to ensure that it is moved without any sort of damage. Most mattress warranties today only protect from manufacturing faults, which will undoubtedly be listed in the brochure included in the package. Failing to care for your new mattress may lead to damages that impact the mattress’s support and comfort after some time – but most times, the warranty doesn’t cover damages. Before choosing your ideal mattress, there are some factors you need to take into consideration. Most buyers’ unawareness of these features causes them to choose the wrong products, which is why you must pay attention here. Go for a model with thick edges and base. The larger part of your mattress top ought to have some bounce to it. Choosing one with thicker sides will make gripping the sides and getting up in the middle of the night easier (considering that most individuals tend sinking into a bed). 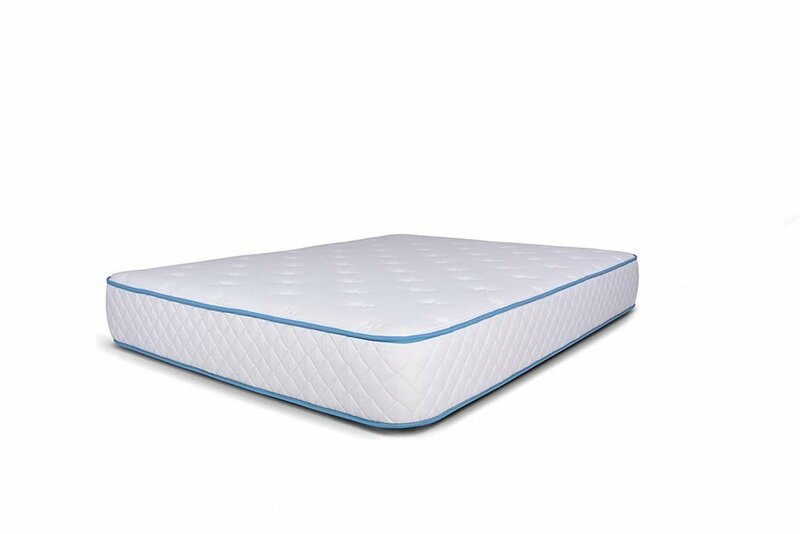 In addition, if you sleep with a partner, you will want a mattress that evenly distributes you and your partner’s weight, if not both the middle and sides thicknesses will be affected by the added weight. It is the thickness that gives your pressure points and back muscles that semi-support; a very thin bed would provide no added support whatsoever. The thickest mattress on this list is the Olee Sleep 13SM01Q Mattress. A bed’s number of layers will have a direct effect on the firmness, thickness, and pressure areas along your back. More layers always imply more optimum medium-level comfort. The base layers support the bed’s durability and thickness, while the top layer offers cushioning and comfort as you rest. Generally, there is always a light memory foam at the top to control your heat and hold your body, whilst the middle to base layers are responsible for distributing your weight and pushing your main pressure points back. Normally, you want a bed with about three comfort layers, with every layer displaying a different kind of material designed scientifically to enhance the bed’s support. Materials have a direct effect on back pain due to some material’s conforming nature against the solidity of others. 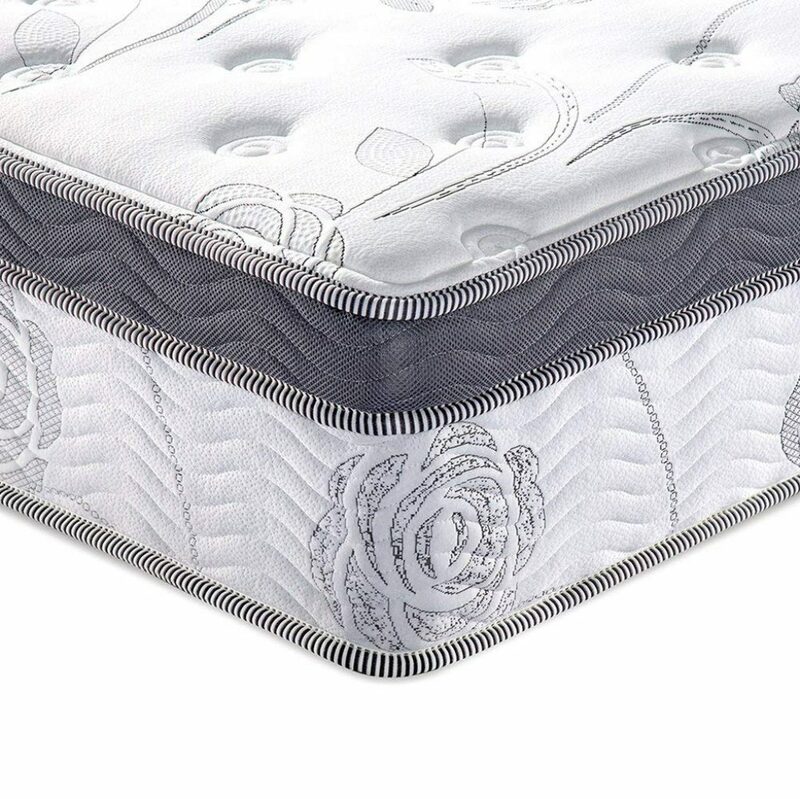 Regular spring mattresses, for instance, always feature metal parts which are not designed to support your pressure points, but rather, adapt to a particular shape after some time. On the other hand, memory foam is tailored to separate your body and evenly distribute your weight along the mattress for optimum support of your main pressure points. 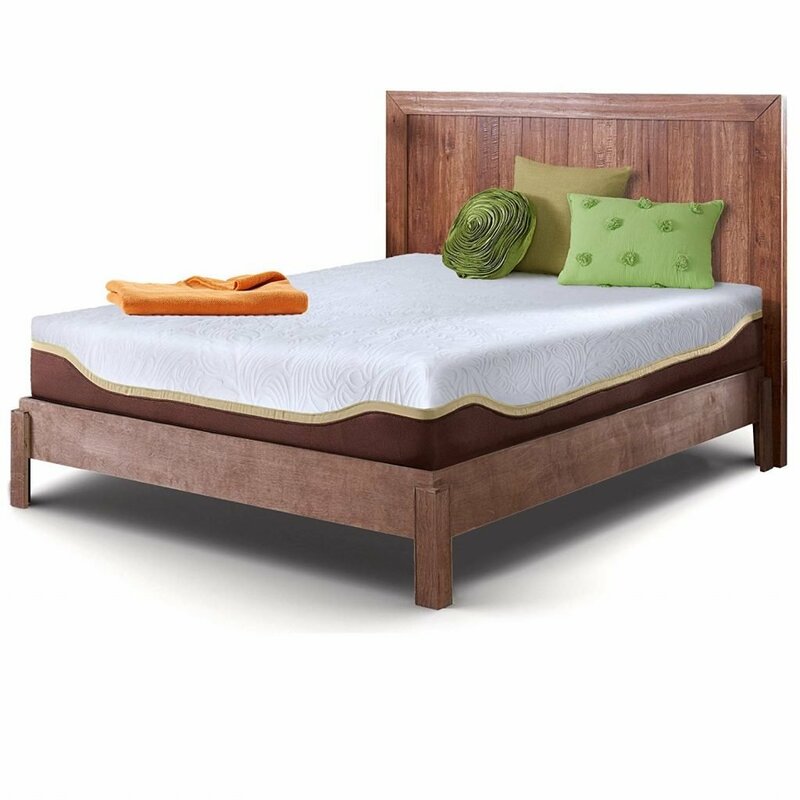 In addition, components which increase your bed’s firmness without causing much hardness are densely woven memory foam, polyurethane, top quilt covers, and latex. One of the main factors to take into account is your preferred firmness level. This may be affected by your sleeping position as a plusher or firmer bed may offer more or less comfort. 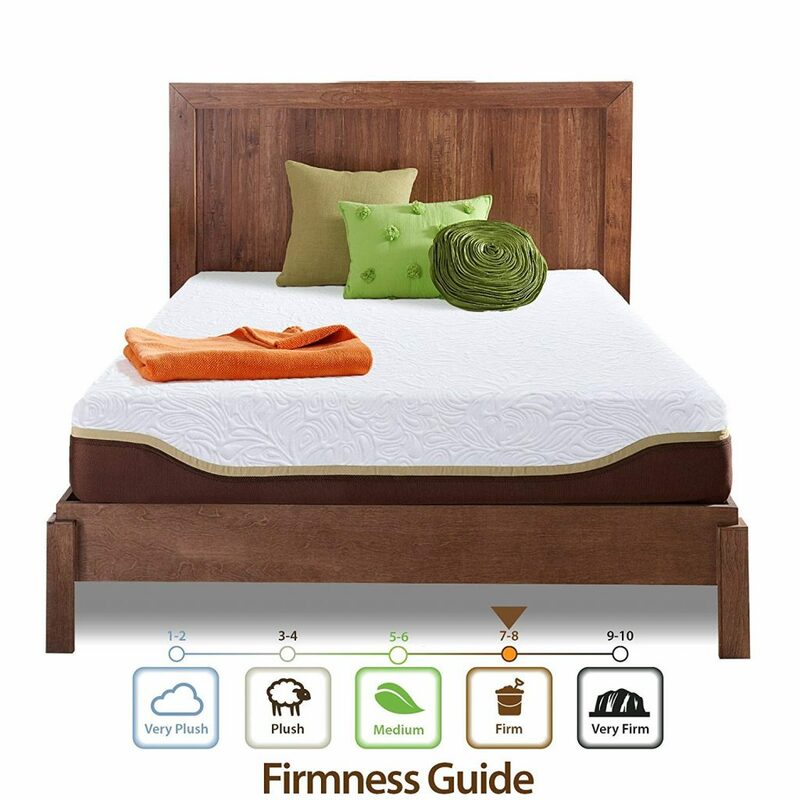 While there is no rule of thumb when it comes to the ideal firmness level, a medium-firm model, which falls from around five to seven on the standard firmness scale, is always suitable for most sleepers in terms of comfort and support. While this is the most common level found in mattresses, some brands make their offerings in various firmness options. 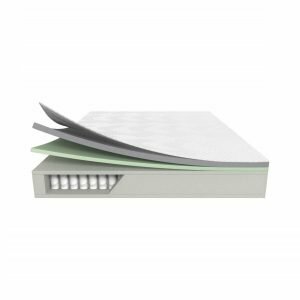 If you’re in search of something that is additionally plush, take a closer look at the Zinus Memory Foam Premium Cloud-like Mattress. For a firm feel go for the Olee Sleep 13SM01Q Mattress. The cover is another main consideration you need to make. 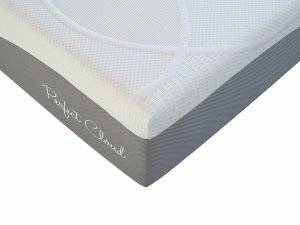 A removable cover is capable of enhancing your mattress’s lifespan, as you can easily wash it on occasions without affecting the mattress’s quality. Asides that, it ought to be plush and comfortable. If your bed comes with a bad quality cover, you can easily purchase it separately. 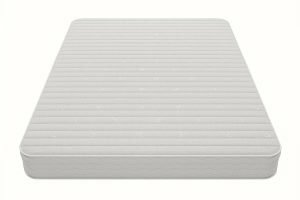 While this always varies from manufacturers to manufacturers, a ten-year warranty term is decent for these under 500-dollar mattresses. 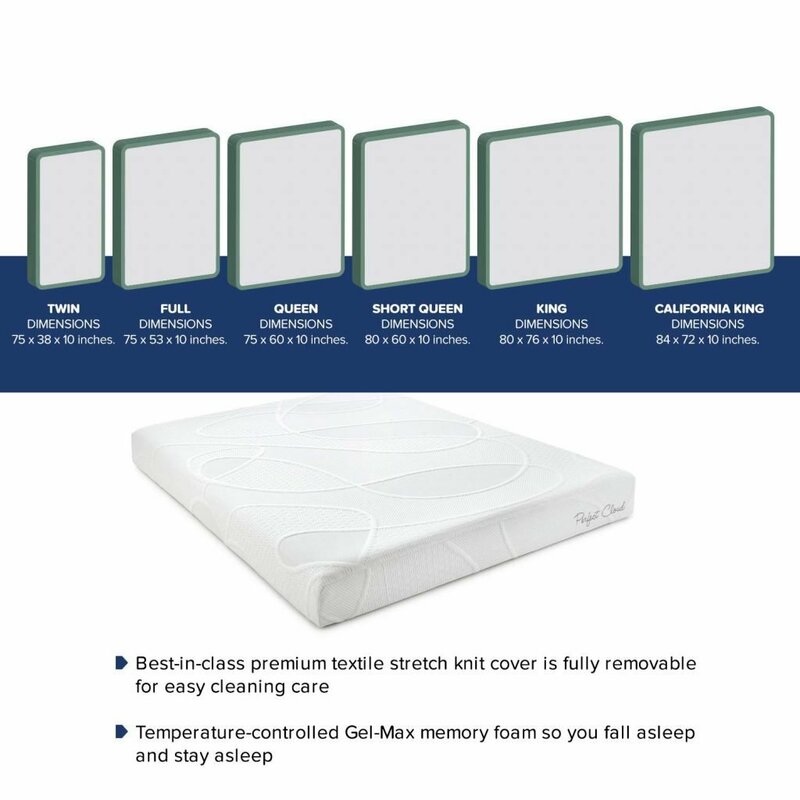 Although some models such as the DynastyMattress Cool Breeze Gel Memory Foam Mattress and the Live and Sleep Mattress Gel Memory Foam Mattress come with longer warranty periods. Of course, the more extended the warranty the better, so you can look for superior warranties. Also, the sleep trial matters as well. You can easily get a 100-day sleep trial under this range. Besides, look for return policy or guarantees, in the event it doesn’t work out. You can also check if the mattress comes with additional features such as a trial period which we mentioned earlier. You can also consider mattresses made in different sizes as you’ll be able to pick from a wide range of options that way. What mattress is suitable for your preferred sleeping position? When looking for a mattress, many people tend to forget about one crucial factor, which is the sleeping position. Your natural sleeping position should also have a say in the kind of mattress you’ll choose due to the fact that different sleeping positions require various support levels. Your back has to be properly aligned, whilst your body weight ought to be evenly distributed. Thus, various individuals need various types of mattress and build. If you are looking to learn more, below are the proper types of bed for every sleeping position available. Side sleepers – The majority of the population sleep on their sides, which makes this position the most popular one. This position needs a lot of pressure relief. When you’re sleeping as a side sleeper, your shoulders and hips have to sink a little deeper so that they will feel no pressure. Thus, you require a mattress that has a softer and thicker comfort layer. However, it must still be supportive, so make sure you give more preference to beds that have an average level of firmness: medium-soft or medium like the Live and Sleep Mattress Gel Memory Foam Mattress. Stomach sleepers – If you sleep on your stomach, then you require something firmer with an extremely moderate level of padding. Stomach sleepers, when sleeping on a soft area, tend to let their backs create abnormal curves (for example, when their stomachs sink in excessively and their spines bend backward). Therefore, if you sleep on your stomach, a firm bed with about one-inch padding should be perfect for you. Back sleepers – For people who sleep on their backs, they require less cushioning and great support. Firm and medium-firm beds are ideal for back sleepers. And in most cases, about two inches of comfort layer (cushioning) is very sufficient. Combination sleepers – Combination sleepers are individuals who don’t have a fixed sleeping position: they sleep in various positions. While finding an appropriate bed for such sleepers can be a bit difficult, there is a way to do it. You need to figure out your most preferred sleeping positions and then choose something in the middle. For instance, whilst stomach sleepers need about one inch of cushioning, and side sleepers require about three inches, buy a bed with at least two inches of cushioning if you’re a combination sleeper. Which model is the most long-lasting? This is a very difficult question to answer since it can only be determined by using all the mattresses ourselves for a lengthy period. However, we can always use the warranty terms to make this judgment since a warranty usually shows the amount of confidence the manufacturer has in his product. 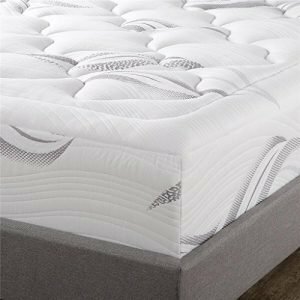 With a 30-year limited warranty, the DynastyMattress Cool Breeze Gel Memory Foam Mattress is the model with the most extended warranty on this list, and we assume it should be the most long-lasting. I’m looking for a coil mattress, but unsure about the comfort it provides. Will I feel the coils through the other layers? Typically, you shouldn’t feel the coils through the other layers while lying on a coil mattress. 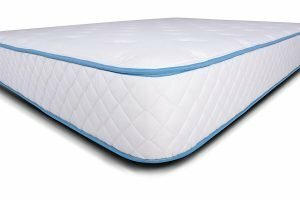 However, when you begin to feel the coils through the different layers, it is a crucial indication that your coil mattress is old, and you should, therefore, consider buying a replacement. I’m a side-sleeper, and my partner loves to sleep on his back. 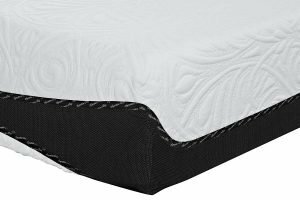 Which mattress firmness is the best in our case? For various sleeping positions (either between individuals, or couples – called multi-positional or combination sleepers) it is difficult to reach a compromise. Experts recommend stomach and back sleepers to choose firm models, but side sleepers to go for soft ones; then the logical agreement is a medium-firm mattress. Also, you can select foams that fall in the middle, if that is what both of you are most comfortable with. Some people that sleep on their sides like medium-firm beds, while some back sleepers prefer soft models to medium and firm. The Zinus Memory Foam Premium Cloud-like mattress is our pick for the best mattress under 500. Made of high-quality materials with bouncy effects, this bed is totally worth its weight in gold. It is also infused with charcoal, natural plant oil, and green tea extract to prevent bacteria and smell. 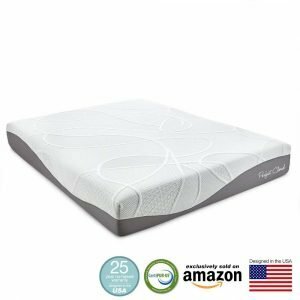 Taking second place is the DynastyMattress Cool Breeze Gel Memory Foam Mattress. Backed by a 30-year limited warranty, it is not difficult to see why this model is rated highly. Providing great comfort and offering pressure relief, there are not many better options than this one. 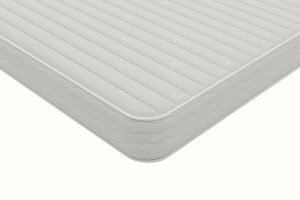 Designed with optimum comfort in mind, our third choice is the Arctic Dreams 10″ Hybrid Cooling Gel Mattress. With its Energex gel foam, this bed is sure to address every sleeping issue you have.